This is an Evite paid post written by me, styled by me and photos by me. All party thoughts are my own. 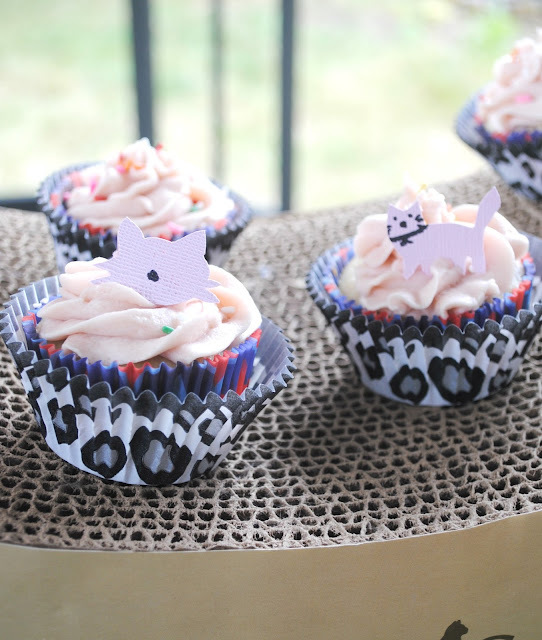 Have you seen Evite's pet themed invitations? They are SO cute and they have a lot to choose from to match any theme. From cute to lux. 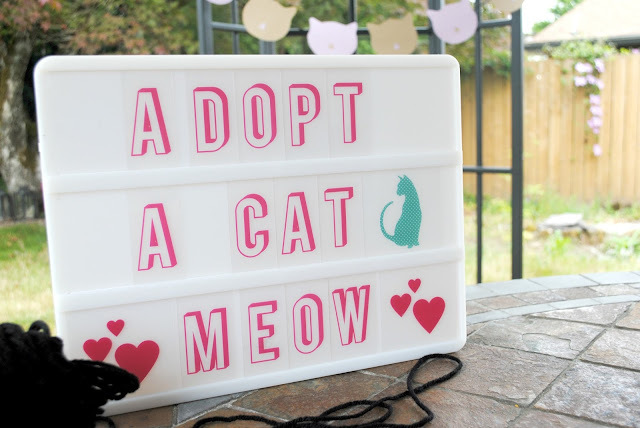 They've got invitations for dogs, birds, cats, and more. Dog birthday parties and dog parties in general are super popular. 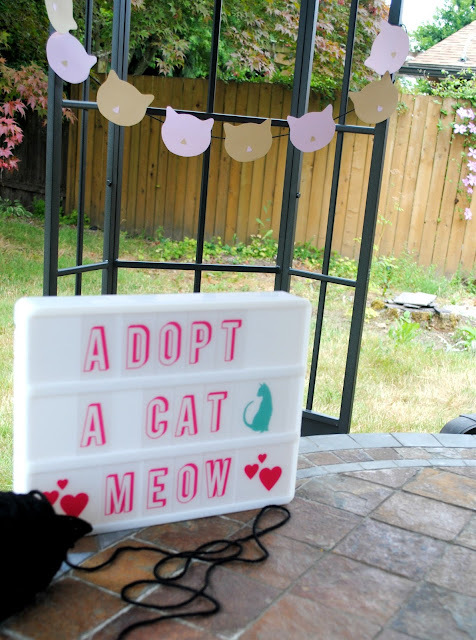 But I'm a cat person so I was happy to see all the cat invitations Evite has. I had a hard time picking just one but I chose this cute cupcake one because not only am I cat person but I love a tasty cupcake. A few years ago we adopted a cat so when Evite asked me to take a look at their pet invitations I knew I had to throw a mini adoption party. 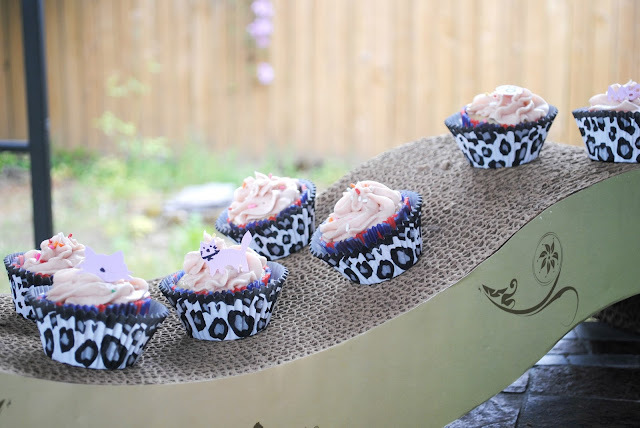 When it comes to mini parties I like to keep things simple and easy. I found a cat silhouette online, traced it out onto coloured paper that matched the invite, cut it out and strung it on string. Cat's love to play with string. 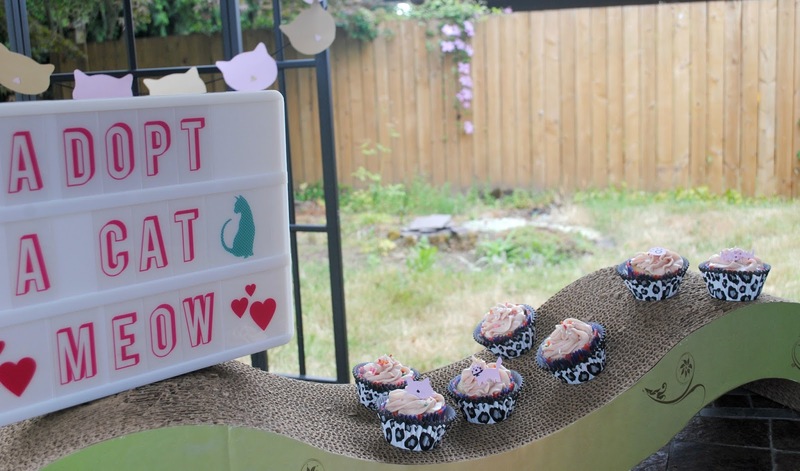 I displayed the cupcakes on a cat scratcher and used cat print cupcake liners. I took the images on the Evite invitation and made cupcake toppers to match. 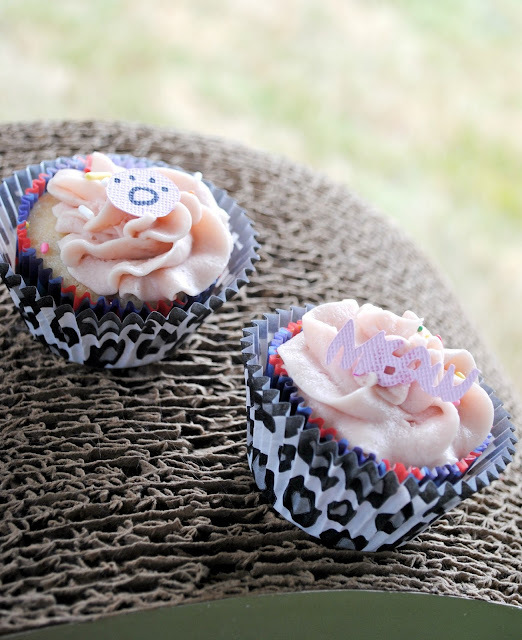 The frosting matches one of the cupcakes in the invitation and I added sprinkles too, just like the cupcake in the Evite invitation. Little details like this help tie the whole mini party together. Do you think your pet is the cutest ever? 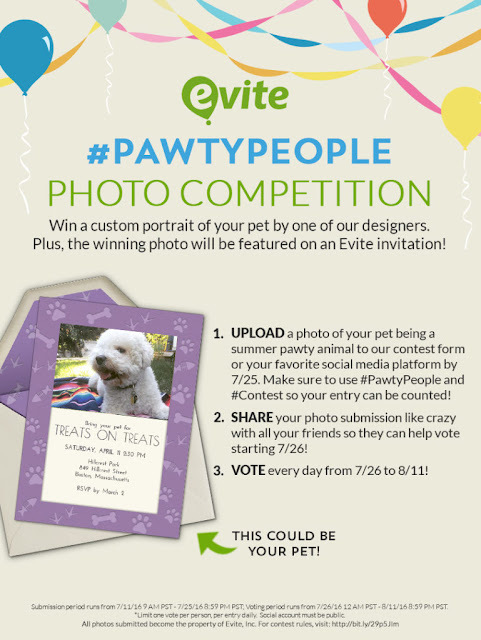 Enter Evite's #PawtyPeople Contest. Enter your little fur baby today. The individual whose photo receives the highest number of votes during the promotional period will receive a custom digital portrait of his or her pet created by one of Evite's designers. Plus, the winning pet will reach a new level of fame-- the winning photo will be featured on the Evite invitation of Evite.com! This is my little sweetie who we adopted a few years ago. 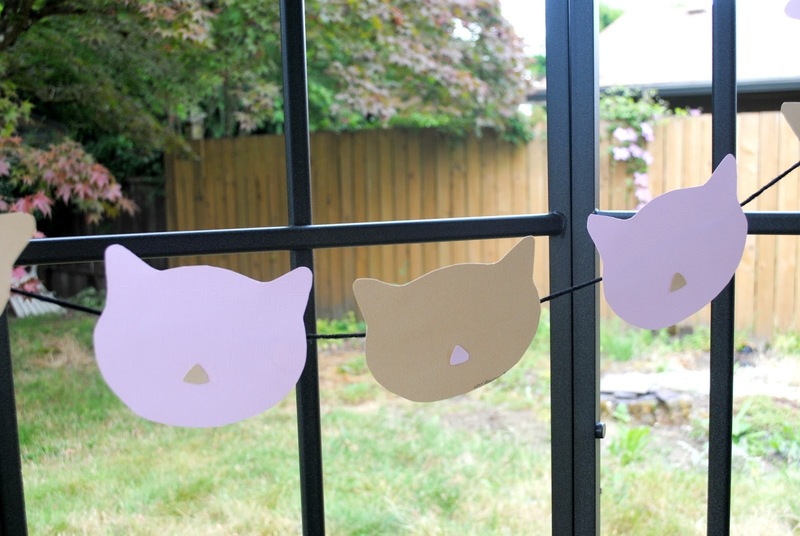 Get more cat party themed ideas over on my Pinterest board. Thank you Christie. Cats are my fav too. Shhh, don't tell the dogs ;) I'm so glad you liked the way I used the cat scratcher. It was one of those light bulb moments. Thank you Evite. This was a fun party to create. You know I love a pet party! I love the scratcher, too. It's on-theme and adds a nice extra bit of visual dimension to the treat table.